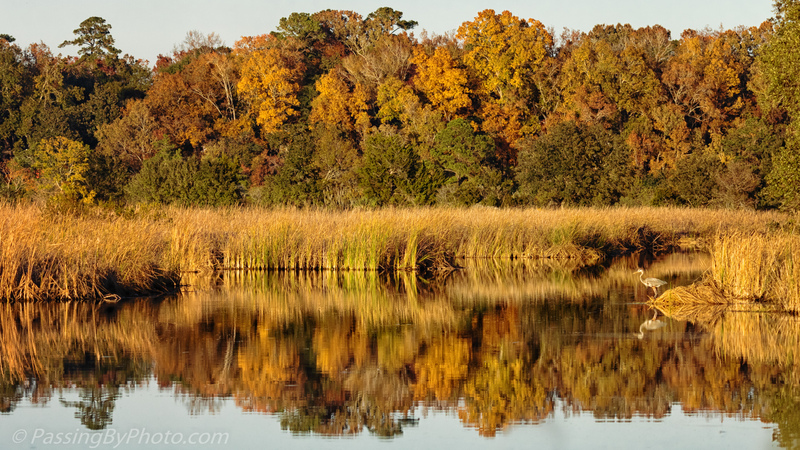 The reflections were like a pot of gold in the back corner of the canal that runs along the rice field dike. The dike and canal make a 90 degree turn at this corner, and then the water widens off to the left into a pond. There was a little breeze ruffling the water surface in the more open area. Taken about a half hour later, this view is towards that same line of trees from a bend in the dike. A few Great Blue Herons have been using the clumps of reeds sticking out from the bank as fishing and sunning spots. Happy fall colors and light to you. Thank you and the same to you, Steve! I didn’t realise you got such rich autumn colours where you are Ellen. Very colourful and beautiful! Particularly like the bottom shot with the GBH! 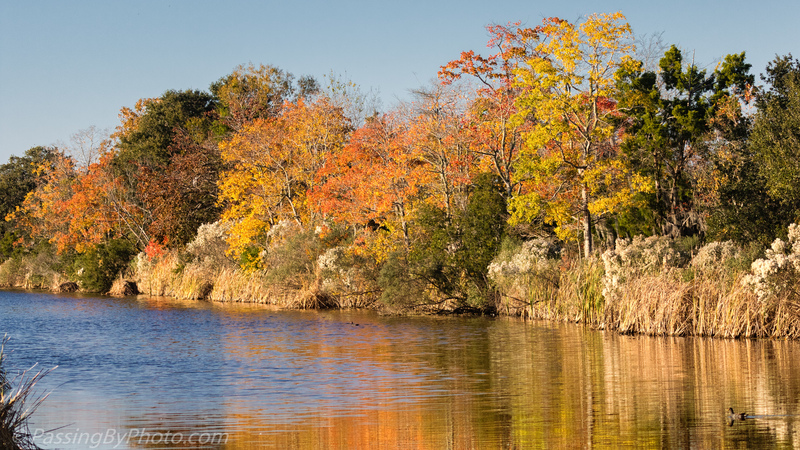 There are a few types of trees here that give a show, but nothing like the New England leaf season. That is one thing I miss from the north, but not the cold that goes with it! That GBH was in a great spot. Thanks, Liz! Particularly like the second photo. “Pot of Gold” indeed! Thanks, Belinda! The setting sun lit that up perfectly that day.